Not every operation that the military does is going to be known to the public. There's all sorts of deeply covert missions going on all the time using teams of super-highly-trained soldiers. These various teams are surgical in their strikes, taking out key enemy personnel and locations. And soon, you'll be able to bring these high-tension missions to your tabletops with Plausible Deniability, a new supplement for Skirmish Sangin that's available for pre-order now. Plausible Deniability, the next supplement for Radio Dishdash's modern day skirmish game, is now available to pre-order! 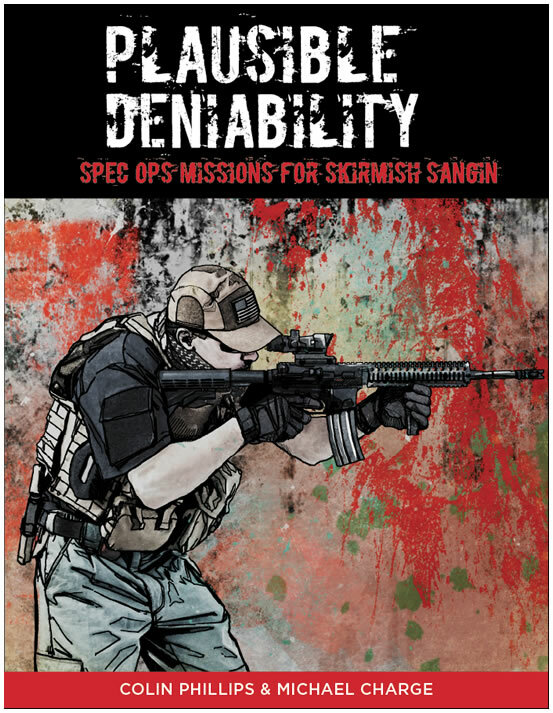 Plausible Deniability contains 12 Special Forces scenarios for Skimish Sangin. It includes 9 ORBATS of Special Forces teams ranging from MARSOC to GROM and all the associated rules to run a Special Operations campaign using the Skirmish Sangin rules. Customers who pre-order today from the Radio Dishdash store will get the PDF version straight away and the printed version once they become available. They will also save $5.00 off the RRP. For players interested in getting into Skirmish Sangin with Plausible Deniability, there are also bundle offers which include the original rulebook for a reduced price.